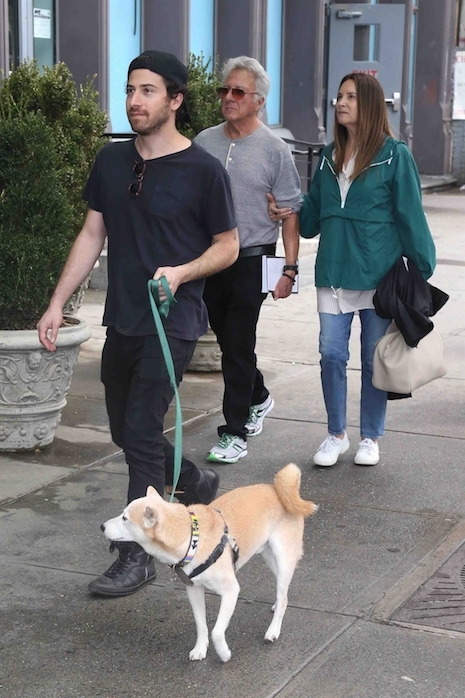 Dustin Hoffman, 80, and his wife Lisa are in New York spending time with their actor son Jake Hoffman, 37, and his cute dog. The usually playful Dustin looks serious – he’s still disgruntled about accusations of sexual misconduct made by several women. Most of the incidents happened years ago and the women were very young, but that doesn’t make them any less appalling. Jake, on the other hand is happy – he has a role in Scorsese’s The Irishman and he’s currently filming a comedy called “Otherhood” in which Patricia Arquette plays his estranged mother.